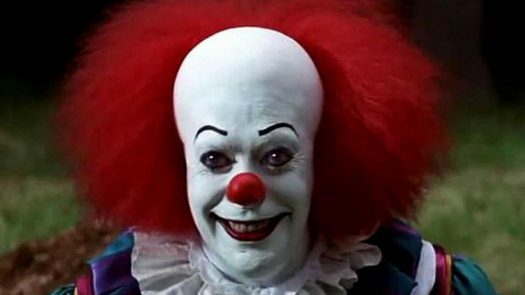 Movie Version of Clown from Stephen King's "It"
As diversity increases, the presence of clowns has become more and more substantial in many regions of the United States. We see a greater number of clowns walking around today, on average, than we did in any other decade, and as a result, fear and paranoia has been expressed more widely among citizens. Several clown attacks occurring in Georgia, Pennsylvania, Florida, Arizona, and Tennessee have incited mass hysteria within the past month. People have reportedly been chased or occasionally assaulted by clowns who are often wielding knives, guns, or other weapons. There have also been a few incidents in other states where clowns have tried to lure children into the woods to join them in their clown activities. Some clowns have also taken to social media for making threats and recruiting others. However, there are relatively few cases such as these in which clowns exhibit violent or threatening behavior. Not every clown is an extremist and not every clown wants to murder you. In fact, clowns have increasingly become subjects for discrimination and even street violence after doing nothing but engaging in their regular clown practices. This week, hundreds of students from Penn State University went on a mass clown hunt, many carrying potential weapons like bats and lacrosse sticks. A school district in Connecticut even went as far as to completely ban clown attire – a severe act of injustice and discrimination against clown culture. It’s clear that a small number of clowns do pose a threat. And, as is always the smart thing to do, we should be cautious of anyone holding a weapon or looking ready to assault someone. But does this mean we should fear and berate all clowns we see walking down the block? And come after them with baseball bats and lacrosse sticks? Where did tolerance and humanity go? It’s time we learned to leave our nation’s clowns alone and let them go about their business. Don’t stare, don’t snapchat, don’t call 911.